Tasked with creating a series of leaflets to promote seven self-guided walking routes in London, the creative team set about refining the concept around the different profiles of people who were likely to use the routes, be it for recreation or during their daily commute. Our concept focussed heavily on these people exploring the route, with SEA sourcing models who fit the profile, scouting locations and obtaining relevant permissions for filming, in order to ultimately create a stunning suite of images. 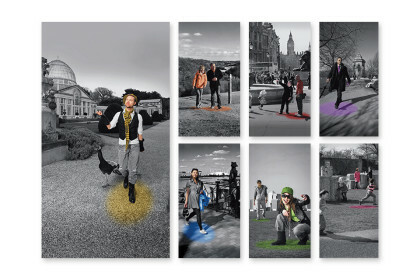 These images were supported by a number of library and third party images to highlight key landmarks and attractions accessible on each route. Above and beyond selling the concept of Walk London, it was important that the literature served as a useful manual for walkers undertaking these routes, providing maps, information on landmarks and attractions, information about public transport access and handy checklists. From design to high volume print and production, SEA handled every aspect of the project and the campaign was extremely successful, with the client ordering a further reprint soon after to replenish stocks of the leaflets. 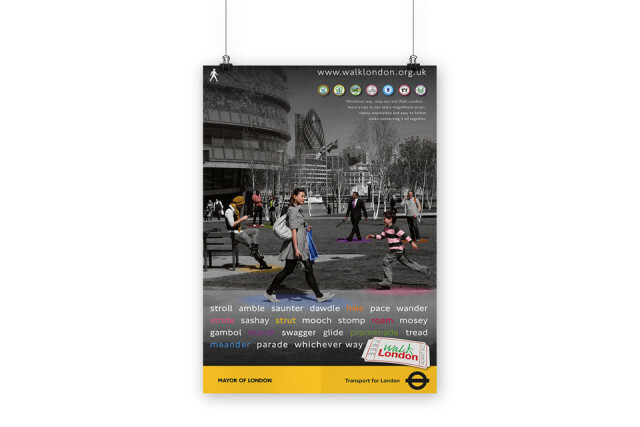 In addition, co-ordinating A3 posters were created to advertise each route, with distribution to local community organisations alongside the leaflets. Certificates were also produced to celebrate the extraordinary achievement of completing each route, which range from 15 – 152 miles. 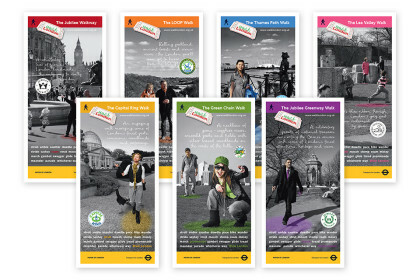 Subsequently, SEA produced a postcard to encourage members of the public to take part in a ‘walking weekend’, where they could join free, professionally-guided walks. 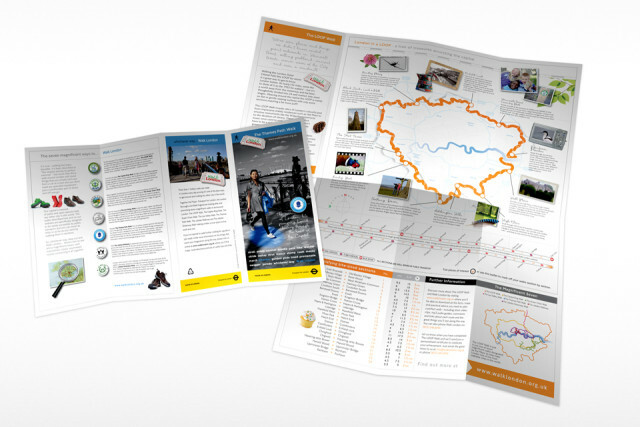 We were fortunate to be introduced to Walk London via Walk England, whom we had been supporting with their marketing collateral for events. Branding development was at the top of the agenda, which was subsequently rolled out to stationery and other materials. Mainly, our remit was to help publicise their events, and as such, we helped produce pull ups and outdoor PVC banners, promotional clothing and delegate name badges.